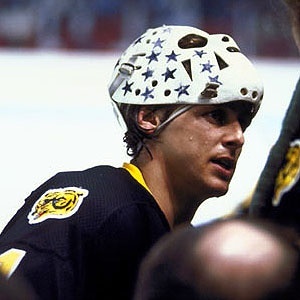 Drafted in 1969 by MINNESOTA NORTH STARS. PLAYED FOR THEM FOR 4 YEARS. THEN GOT TRADED TO BOSTON. FROM 1973 to 1980, SPENT 7 GREAT YEARS OF MY LIFE IN BOSTON. FROM 1980 to 1984 WITH DETROIT RED WINGS. I THEN PLAYED WITH HOCKEY LEGENDS FOR 8 YEARS, WHILE WORKING FOR CANADIAN HOCKEY ENTERPRISES. I STILL CONTINUE TO WORK FOR THEM. IN BETWEEN I DID WORK WITH THE NEW YORK ISLANDERS FOR 4 YEARS. I STILL HAVE MY GOLF TOURNAMENT IN BOSTON, RAISING MONEY TO GET ELECTRIC WHEELCHAIR TO A GIRL OR A BOY. NOW I'M TRYING TO RAISE MONEY TO HELP PLAYERS THROUGH THE GILLES GILBERT GOLF CLASSIC. IT WILL BE IN JAFFREY, NH (SHATTUCK COUNTRY CLUB) FOR THE SECOND YEAR THIS YEAR ON JULY 29. I LOVE PLAYING GOLF ESPECIALLY TO RAISE MONEY FOR THE FORMER NHL PLAYERS WHO NEED SOME HELP.